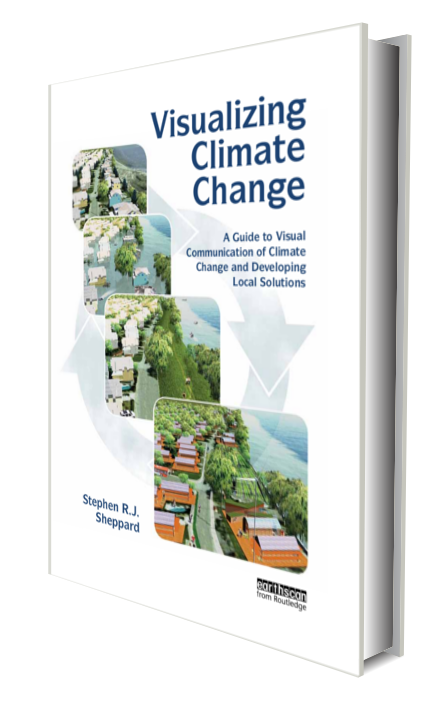 Visualizing Climate Change, by Stephen Sheppard, is a guide to using visual media in communicating climate change. This book vividly brings to life the science, the local realities, and the practical solutions for climate change, while introducing powerful new visual tools for communities, action groups, educators, and experts to engage the public, build awareness and accelerate action on the world’s greatest crisis. This book is intended for use by educational institutions and educators, students, non-governmental organisations, community organizers, communications consultants, planners, government community engagement staff, scientists and popular science lovers. Learn more about Visualizing Climate Change. Stephen Sheppard is an author, researcher and professor at the Collaborative for Advanced Landscape Planning at University of British Columbia. Learn more about his work.